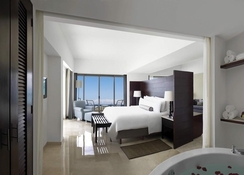 Situated right on the Cancun beach, Live Aqua Beach Resort Cancun is an adults-only hotel featuring an outdoor swimming pool facing the Caribbean sea. Set your imagination free at this all-inclusive resort – where you can relax in a private cabana, splash in one of the seven pools, unwind at the spa or find your zen with available yoga classes. The spacious hotel rooms offer gorgeous sea views, stylish décor and include all the relevant amenities required for a comfortable stay, plus the choice of Standard, Premium and Suites. Dining is also a leisurely experience at Live Aqua Beach Resort Cancun, with 12 restaurants and bars serving up a selection of cuisines and cocktails. When you're not lounging by the pool or indulging in the spa's relaxing treatments, get involved in the available recreational activities in the surrounding area – including the neighbouring Nichupte Lagoon in the Hotel Zone, or check out watersports such as snorkelling, jet-skiing and diving – a popular pastime in Cancun. 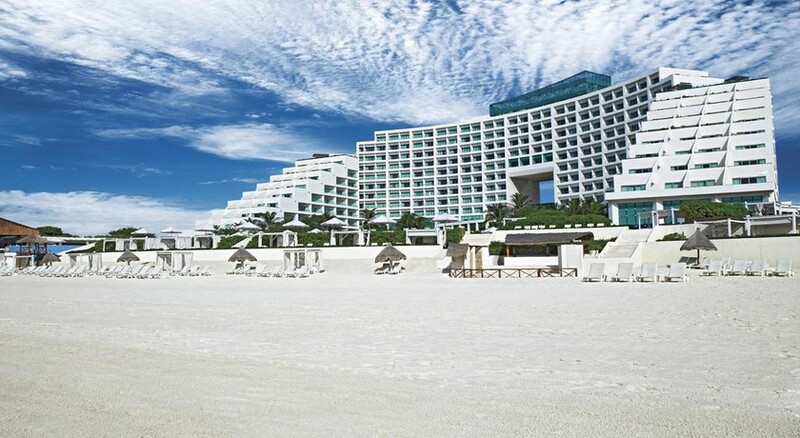 The hotel is situated right on the beachfront in Cancun, close to the Hotel Zone. Visit the La Isla Shopping Mall for a hearty shopping experience, which is 500m from the hotel. Guests can also visit the Kukulcan Plaza (700m), The City Nightclub (3.5km) or head out to the Mayan Museum – 4.5km from the hotel. 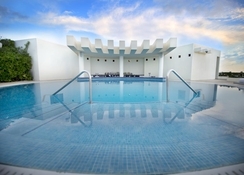 The hotel is 19.5km from Cancun International Airport. 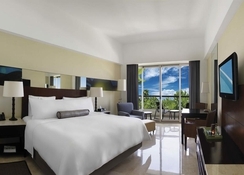 Rooms at the Live Aqua Beach Resort Cancun are plush and spacious, offering modern amenities like satellite TV, tea and coffee making facilities, a minibar, aromatherapy products and an in-room safety box. Guests can choose between Standard Rooms, Premium Rooms and Suites. All rooms offer guests state-of-the-art amenities along with luxury bath products, gourmet coffee, and a separate tub and shower. Dining options are aplenty at the hotel with restaurants catering to various International cuisines with special themed restaurants serving authentic Mexican, European and Asian cuisine. Azur Rooftop Restaurant, Siete Restaurant, MB Restaurant, Varenna Restaurant and more, Bars at the hotel are Egos bar, Akka bar and Pool Club bar. 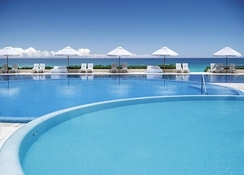 Live Aqua Beach Resort Cancun boasts seven outdoor pools, private cabanas and outside bars overlooking the turquoise Caribbean Sea. The hotel's Feel Harmony Spa offers a selection of treatments and facilities, with a jacuzzi, temperature contrast lagoon, hydroreflexology, sauna, crystal steam room, plus a variety of massages. Beyond the resort, take a dive for other recreational activities like scuba diving, snorkelling, fishing, jet skiing, swimming with dolphins, parasailing, and more.